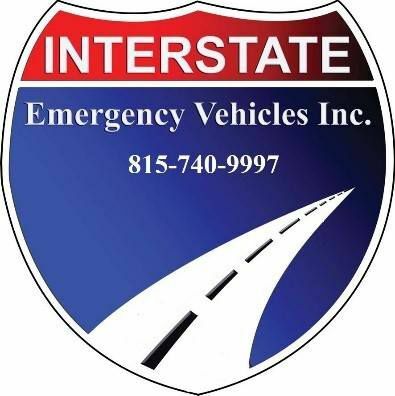 Interstate Emergency Vehicles, Inc. has been in the fire and emergency industry since 2004, specializing in emergency vehicle sales and service, including fire apparatus and ambulances. Edward Orolin, owner of Interstate Emergency Vehicles has been in the Fire-EMS industry for over 26 years. Interstates sales and support staff are current and retired firefighter-paramedics with years of experience in both sales and service. Based in Joliet Illinois, Interstate Emergency Vehicles, Inc. is a familiar name in the Chicagoland area emergency vehicle market with a service department operating from a 12,000-square foot facility. Personnel is led by operations manager Ted Ellison, our personnel hold ASE certifications as well as EVT certifications for Ambulance, Fire and ARFF vehicles. Services include light refurbishing, service of all makes & models, preventative maintenance programs of fire and ambulance apparatus. Interstate is the dealer & warranty center for Rosenbauer America, SVI Trucks, Demers Ambulance. Interstate Emergency Vehicles, Inc. provides preventative maintenance programs to fit your budget as well as repairs of all brands of fire apparatus and Ambulance’s. We can offer complete certification of apparatus from pump testing / fire hose testing / aerial device testing. A true one stop shop. We concentrate on the Chicagoland area to ensure we complete repairs in a prompt fashion, reducing time.